WHEATON, IL — Behind the books on our shelves are dozens of visionaries, writers, editors, graphic artists, printers, and marketers hard at work. One goal of The Shepherd’s Scrapbook is to introduce the people and organizations behind the books. This Spring we traveled to Pennsylvania to see the American office of the Banner of Truth Trust. 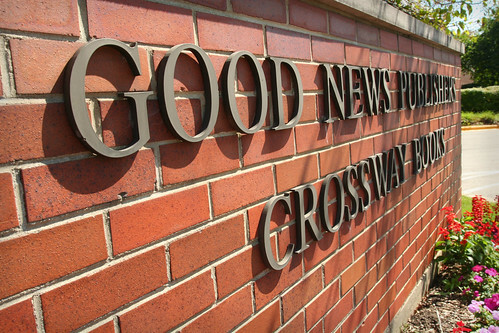 Another favorite publisher is the Good News Publishers or Crossway Books — or simply known as the ones who publish the English Standard Version. 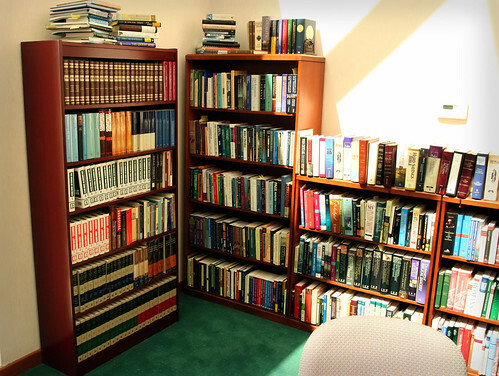 Look on your shelves and count how many Crossway books and Bibles you own. Likely you have a bunch. These originate in Wheaton, IL. And 2007 looks to be a monumental publishing year for Crossway. 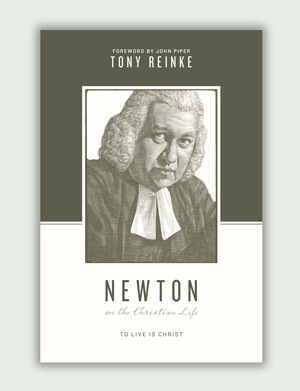 Along with the ESV The Literary Study Bible edited by Ryken and Ryken, our friends have produced The Reformation by Stephen Nichols, Sam Storm’s two excellent books Chosen for Life and Signs of the Spirit and will soon be printing the edited version of Communion with the Triune God by John Owen. Yet this Fall and Winter we look forward to John Piper’s response to N.T. Wright on justification, and the American edition of a great book published in the U.K. earlier this year — Pierced for Our Transgressions by Steve Jeffery, Michael Ovey and Andrew Sach. Each of these volumes (and several others) are grand accomplishments. The Crossway office and warehouse are within walking distance from the SE corner of Wheaton College, across a set of very busy train tracks. The office and warehouse are housed in one building. 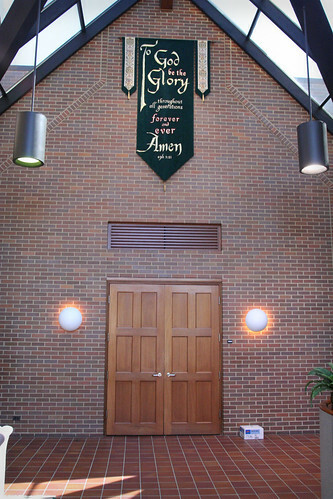 In many ways, the interior of the building is reminiscent of a church building with dark brick, embroidered cloth banner, tall ceilings and many windows. 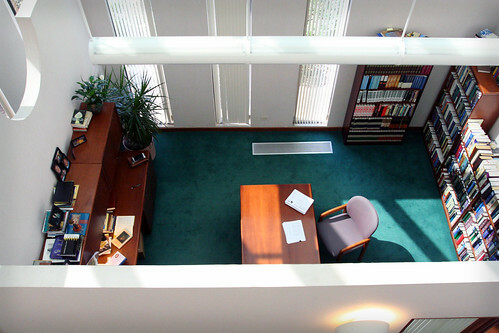 The main level perimeter offices are large, bright and with open ceilings. Last Thursday morning I had the joy of joining the Crossway staff for chapel, a time to give thanks to God, reflect on His grace, and to pray for needs (both personal and professional). 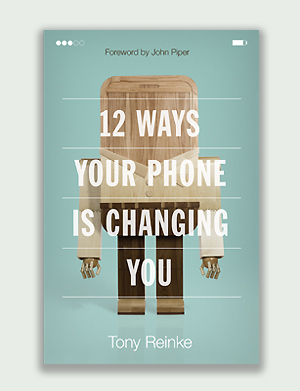 The various Crossway authors at work and under deadline were prayed for specifically. The chapel service brought a surprisingly personal context for all the other publishing work and revealed a community of editors caring for their writers and one another beyond the business context. 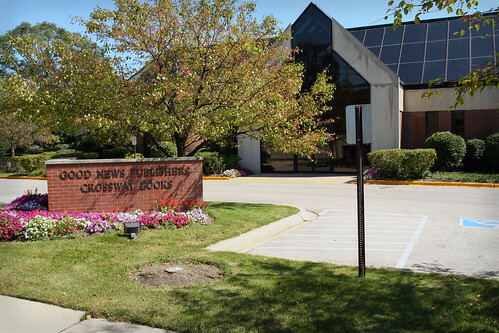 Crossway books are printed off-site, but warehoused on-site. 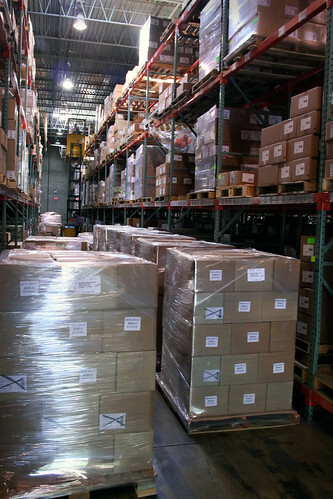 I took the camera back for a few shots of the warehouse operations. You can see the line where orders are filled. As with the Banner of Truth, all noticeably damaged and defective books are pulled from circulation. Both publishers are perfectionists. Justin Taylor is the main reason I came over to Crossway. Justin is a busy editor, writer, and blogger. 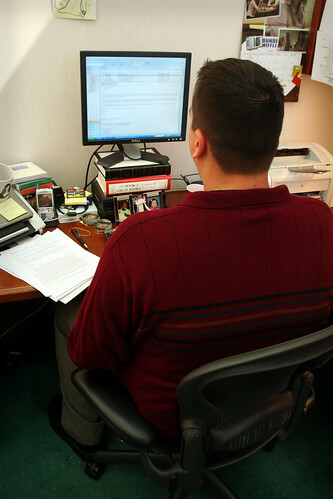 His official duties center around editing the ESV Study Bible due out late next year and his blog, Between Two Worlds, is considered one of the best on the Internet (one I check daily and highly recommend). 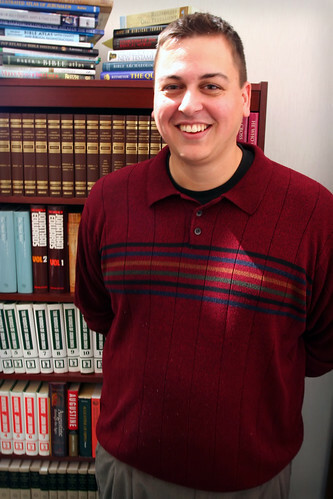 Justin Taylor has also edited many books, including new versions of John Owen with Dr. Kelly Kapic (Overcoming Sin and Temptation and Communion with the Triune God). 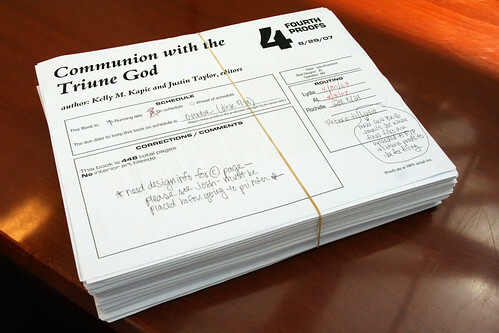 Communion is due out in mid-October, so Justin’s work has been especially busy. 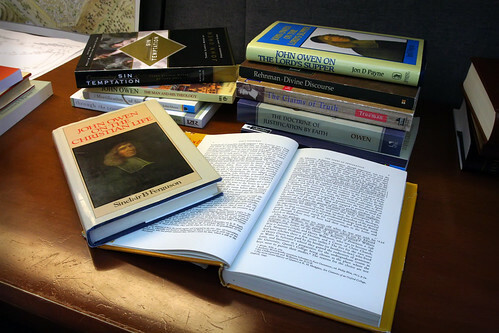 His diligent labors are amazing, considering he works 9-5 on the ESV Study Bible and his other writing projects (like Communion) are completed in his personal time in the evenings! 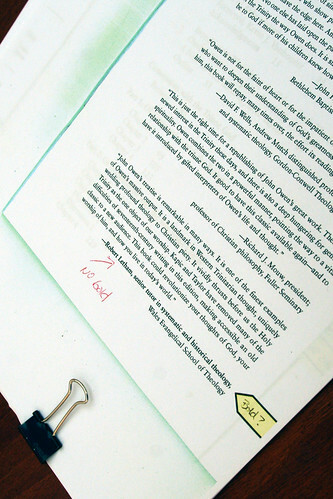 A proof of Communion sits on his desk with some final edits before it’s printed. Justin’s office is on the main level and has no ceiling. He has a modest library on hand and has minimal decorating (please leave decorating ideas for Justin in the comments). Justin blogs, edits and emails with his John Owen coffee mug handy. 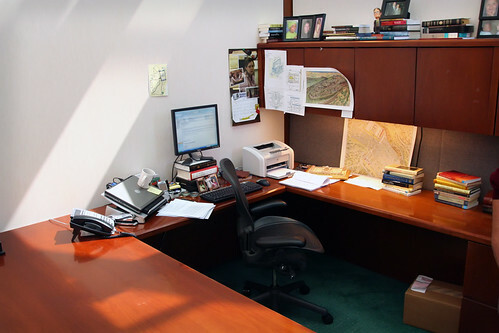 His monitor is lifted with two ESV Bible boxes, a copy of The Book of Great Books and a hardcover ESV. His timeliness can be attributed to a nifty Dunder-Mifflin calendar. 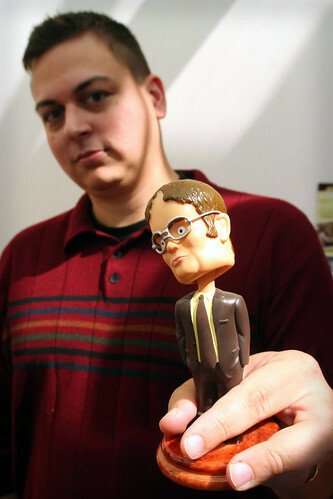 All Justin’s emails and calls are screened by his personal office assistant, Dwight Schrute. Obviously, I captured only a few highlights. It was great meeting Lane Dennis, the man behind Crossway (sorry, no pics). But it was also great to see Crossway behind the scenes and the humble prayerfulness of editors coming together at the throne of mercy. 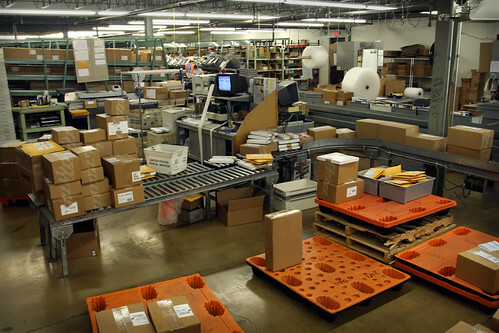 Related: Photo tour of Banner of Truth warehouse in Carlisle, PA (here). Did standing amidst all those books make you feel like a kid in a candy store? First, please tell me there is a way I can buy those “damaged” books that will probably be recycled! I cannot bear to see Piper books recycled. Is there any sort of rescue operation I can get involved with? Second, I don’t think Justin’s office necessarily needs any more decorations than those overflowing bookshelves. Thank you for making my stomach ache so early in the morning! I think I would die if I worked at a publisher or a library or a bookstore. I certainly wouldn’t be able to sell any books! 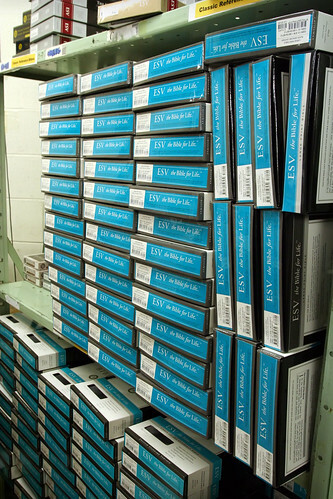 I work at IVP (in the warehouse). If you ever want a tour let me know. I’ll keep you away from all the egalitarian nonsense as well. justin probably needs to add quite a few more pictures of his family to this incredibly drab office. otherwise cool. oh my! I want to work there!!!!!!!! Boy, would I love to get my hands on those damaged books!!!!! Thank you for doing this tour! fun! Tell Justin to get those miserable pink dust jackets off the Owen Hebrews commentary. The man has to be rolling over in his grave. I want to know how old is Justin Taylor. He looks so young and yet is doing so much. Just curious! I can assure anyone wondering that Crossway does not recycle damaged books. 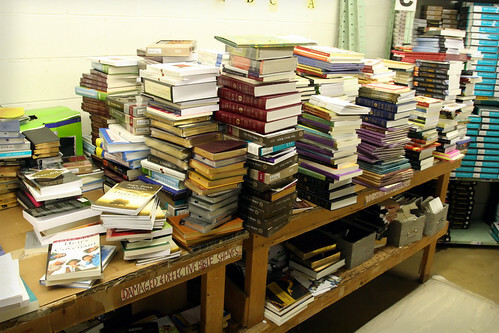 Since it is a non-profit ministry and is run by godly people with a heart for the gospel and those in need, the majority of the damaged books are sent to aid ministries all over the world who have requested literature. There is actually one woman on staff whose sole responsibility is to fill these requests. Just popped by to say hello from Peoria! 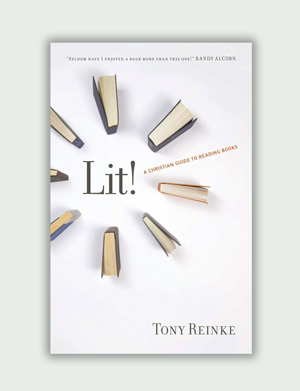 Tony Reinke has the scoop. 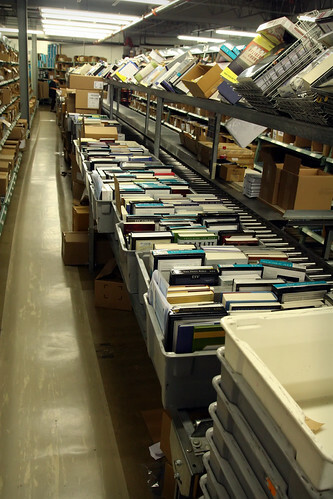 A few people have asked what happens to the damaged books and Bibles we have in our warehouse. Answer: We typically give them away to ministries who use them for evangelism. Donations help support this ministry. I miss Crossway at Mitchell Family Books! the coffee cup is interesting! Gmail, eh? And JE’s Works backwards. Man. I love the vertical aspect to Justin’s office. Justin, please add some wall art!! : ) Thanks for the tour… that was fun.